Piaggio has filed legal complaint against Yamaha and Peugeot, alleging that the two motorcycle manufacturers infringed on the company’s designs and patents for leaning three-wheeled scooters. 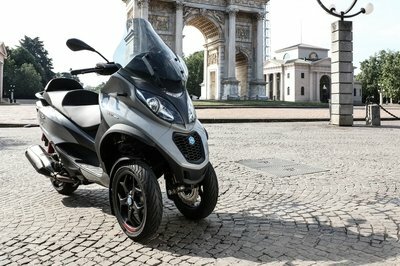 The Italian motorcycle manufacturer filed the complaints with Italian courts against its Japanese and French rivals, specifically pointing to the designs of their three-wheeled scooters - the Yamaha Tricity and Peugeot Metropolis - as having copied the patents it used in developing the MP3. 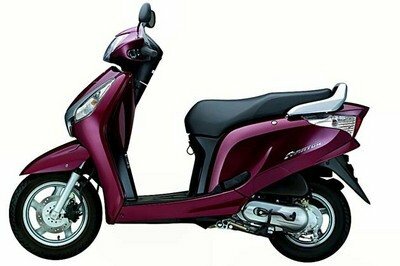 According to Italian newspaper La Repubblica, Piaggio is looking to put the shackles on Yamaha and Peugeot from selling Tricity and Metropolis scooters, respectively. The company is also seeking monetary damages. It’s not uncommon in the motorcycle industry for one company to claim that another infringed on its patents, but Piaggio appears to be bent on putting down the hammer against Yamaha and Peugeot. 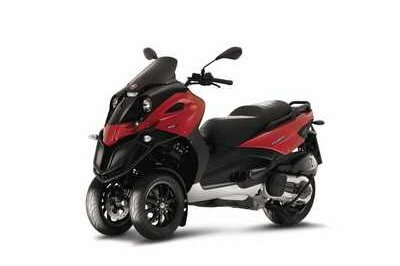 The Italian brand is specifically pointing to its parallelogram suspension system as the root of the infringement, claiming that Yamaha and Peugeot took the idea and used it on their own versions. Piaggio’s complaints were filed in the fall of last year, but a preliminary hearing isn’t expected to begin until the next few months. La Repubblica also reported that Piaggio’s case against Peugeot has been adjourned until June 16, 2015. Meanwhile, a preliminary hearing has been set between Piaggio and Yamaha on July 24, 2015. How these cases end up is still anybody’s guess, but if the courts determine that Yamaha and Peugeot are guilty of infringing on Piaggio’s designs and patents, the two companies could find themselves in the unenviable position of withdrawing their three-wheeled scooters from all of their markets. That and the monetary payments could be damaging to their respective wallets. 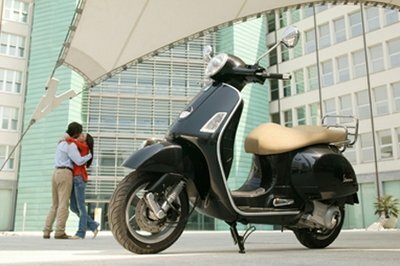 Continue reading to read more about Piaggio’s lawsuits against Yamaha and Peugeot. Like I said, legal complaints of this sort happens more frequently than these companies let on. A lot of them don’t even make it to newswires because they’re settled long before any court proceedings happen. That said, this particular patent infringement appears to be a different case because Piaggio’s really going after Yamaha and Peugeot by demanding that the two companies withdrew their products that Piaggio claims infringed on its patents. Piaggio is even taking the fight to Peugeot’s home country in Paris, France with a similar lawsuit that threatens to undercut Peugeot’s attempts to not only sell in its home market, but also a huge one in general for three-wheeled scooters. I’ve got no horse in this legal battle between Piaggio, Yamaha, and Peugeot. I’m of the belief that things like this can be settled outside the court room so that the three companies can move forward without having to worry about whatever case is brought up to the courts. But I’m no lawyer when it comes to these things. Actually, I’m not a lawyer to begin with. 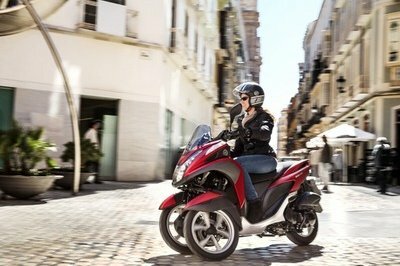 I’m just hoping that Piaggio can reach an agreement with Yamaha and Peugeot that would benefit all parties concerned. But if that doesn’t happen, I fear that these legal proceedings could get ugly real soon.